Quite often I get hungry in-between lunches and dinners as I’m sure many of you do too. It’s quite frustrating at times and the hunger can often lead to grabbing the first most desirable snack you feel like i.e crisps, chocolate etc but by doing that of course you’re steering well away from the many healthier alternatives. 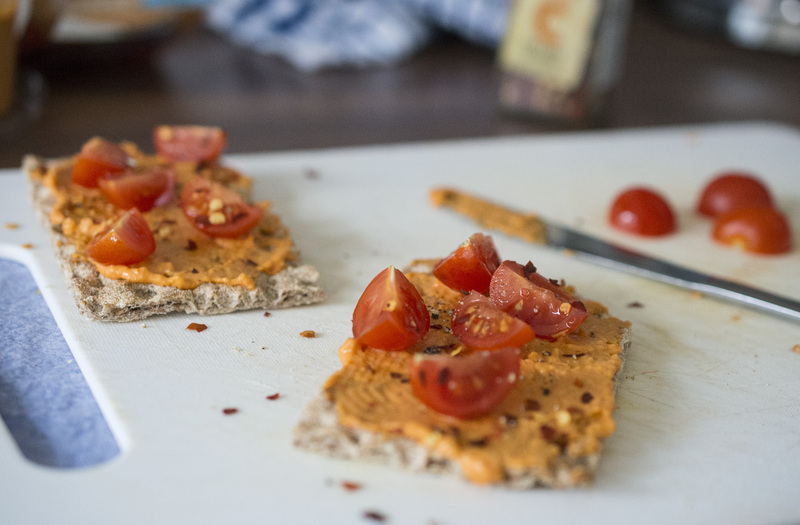 With a little planning whilst you’re out shopping, you can easily create a very quick and healthy snack by adding just a few ingredients on top of a rye crispbread. You can make these snacks in advance and take them to work with you! After all they’re light and contain plenty of dietary fibre which has many health benefits attached to it such as softening of your stool and also contains very little fat. This is one of the simplest recipes I’ve publishing but more of you have requested adding more healthy snacks to the blog so I thought I’d do just that! 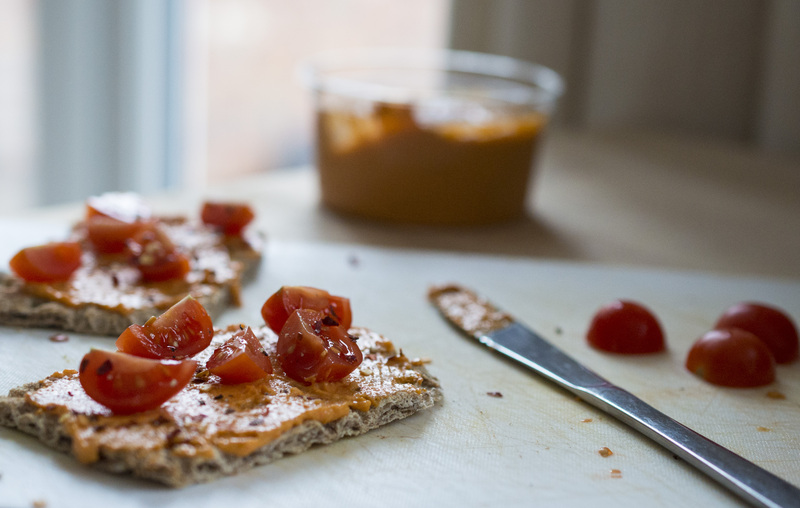 This recipe contains tomatoes, chillies and houmous which go really well together. It takes almost no time to make and many of the ingredients can be stored for up to a week. All you’ll really need is a chopping board, the ingredients and a small knife to spread the houmous across. Simple! Spread the houmous over the crackers and add the cherry tomatoes. Add the chilli flakes and ground pepper. Eat straight away!